(1) The provisions given in 5.1.5 apply only to structures whose joints are verified according to section 7. (2) The distribution of axial forces in a lattice girder may be determined on the assumption that the members are connected by pinned joints (see also 2.7). 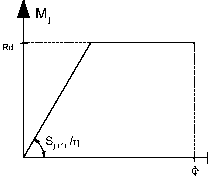 - the ratio of the system length to the depth of the member in the plane of the lattice girder is not less than the appropriate minimum value. For building structures, the appropriate minimum value may be assumed to be 6. Larger values may apply in other parts of EN 1993. - the chords may be considered as continuous beams, with simple supports at panel points. U0 is the depth of the chord, in the plane of the lattice girder. (6) When the eccentricities are within the limits given in 5.1.5(5), the moments resulting from the eccentricities should be taken into account in the design of compression chord members. In this case the moments produced by the eccentricity should be distributed between the compression chord members on each side of the joint, on the basis of their relative stiffness coefficients I/L , where L is the system length of the member, measured between panel points. (7) When the eccentricities are outside the limits given in 5.1.5(5), the moments resulting from the eccentricities should be taken into account in the design of the connections and the compression chord members. In this case the moments produced by the eccentricity should be distributed between all the members meeting at the joint, on the basis of their relative stiffness coefficients I/L . (8) The stresses in a chord resulting from moments taken into account in the design of the chord, should also be taken into account in determining the factors Xm , Xn and Xp used in the design of the connections, see Table 7.2 to Table 7.5, Table 7.10 and Table 7.12 to Table 7.14. (9) The cases where moments should be taken into account are summarized in Table 5.3. (1) The details of all joints shall fulfil the assumptions made in the relevant design method, without adversely affecting any other part of the structure. 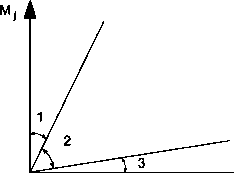 (2) Joints may be classified by their stiffness (see 5.2.2) and by their strength (see 5.2.3). (1) A joint may be classified as rigid, nominally pinned or semi-rigid according to its rotational stiffness, by comparing its initial rotational stiffness 5j,ini with the classification boundaries given in 5.2.2.5. NOTE: Rules for the determination of 5j,ini for joints connecting H or I sections are given in 6.3.1. 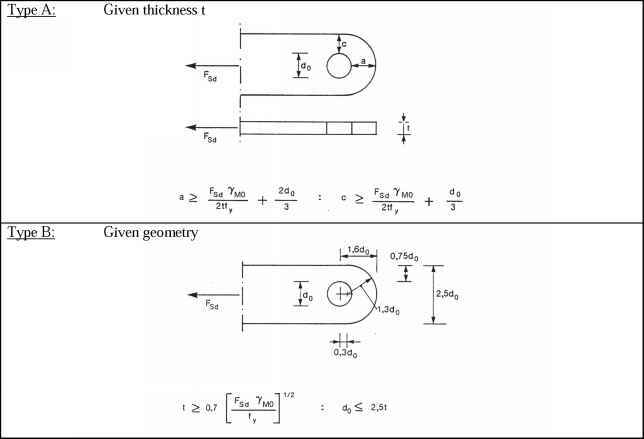 Rules for the determination of 5j,ini for joints connecting hollow sections are not given in this Standard. (2) A joint may be classified on the basis of experimental evidence, experience of previous satisfactory performance in similar cases or by calculations based on test evidence. (1) A nominally pinned joint shall be capable of transmitting the internal forces, without developing significant moments which might adversely affect the members or the structure as a whole. (1) Joints classified as rigid may be assumed to have sufficient rotational stiffness to justify analysis based on full continuity. (1) A joint which does not meet the criteria for a rigid joint or a nominally pinned joint should be classified as a semi-rigid joint. NOTE: Semi-rigid joints provide a predictable degree of interaction between members, based on the design moment-rotation characteristics of the joints. (2) Semi-rigid joints should be capable of transmitting the internal forces and moments. (1) Classification boundaries for joints other than column bases are given in 5.2.2.1(1) and Figure 5.4.
and Sj,tai >7(2 ^ - 1 ) EIc / Lc and 5j,ini > 48 EIc / Lc otherwise if 5j,ini >30 EIc / Lc. Ic, Lc are as given in Figure 5.4. All joints in zone 2 should be classified as semi-rigid. Joints in zones 1 or 3 may optionally also be treated as semi-rigid. For frames where Kb/Kc < 0,1 the joints should be classified as semi-rigid. (1) A joint may be classified as full-strength, nominally pinned or partial strength by comparing its design moment resistance Mj,Rd with the design moment resistances of the members that it connects. When classifying joints, the design resistance of a member should be taken as that member adjacent to the joint. (2) A nominally pinned joint shall be capable of accepting the resulting rotations under the design loads. (3) A joint may be classified as nominally pinned if its design moment resistance Mj,Rd is not greater than 0,25 times the design moment resistance required for a full-strength joint, provided that it also has sufficient rotation capacity. (1) The design resistance of a full strength joint shall be not less than that of the connected members. (2) A joint may be classified as full-strength if it meets the criteria given in Figure 5.5. (1) A joint which does not meet the criteria for a full-strength joint or a nominally pinned joint should be classified as a partial-strength joint.